13 years ago today, on Sept 11th, 2001, I was an active duty infantry Marine on Camp Pendleton, CA — a day scarred by a tragic event that ultimately set me on a course, which would lead up to this day — first through the invasion of Iraq, for the first 8 months of combat operations, to returning home and spending a decade struggling with post traumatic stress and the lingering effects of combat. 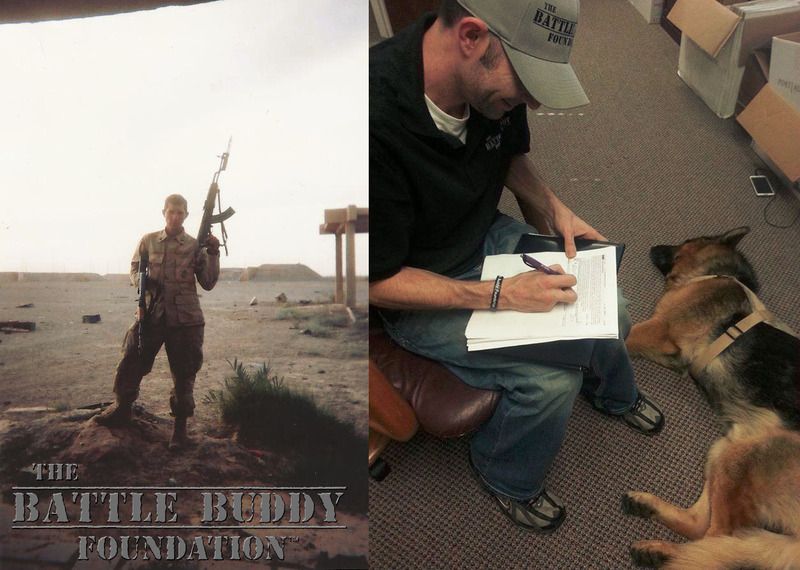 One year ago today, on Sept 11th, 2012, I was able to officially sign the 501(c)3 application for The Battle Buddy Foundation. Today, TBBF has our official 501(c)3 designation from the IRS, and after spending the past few years building the grassroots support, now is when the real work begins. For me, The Battle Buddy Foundation is the culmination of all those experiences, and I will always remember the 11th of September as a day of perseverance through tragedy, a day of hope and new beginnings…..a time when the hard works begins, and lives yet again hang in the balance. With an average of 22 veteran suicides a day, there has never been a greater need for the provision of long term and tangible support for our veterans in need. Through TBBF’s service dog program, mentorship and employment program, and we intend to save as many lives as our resources will allow. This is where we rely on you, and your donations. Without the appropriate funding, we are limited in the veterans we are able to match with battle buddy service dogs. Please consider supporting this important mission and partnering with The Battle Buddy Foundation by becoming a monthly contributor. Together, we can make a REAL impact in generations of veterans in need.